Spread the word about your business and any promotion you have the sweetest way possible with our printed custom lollipops. Efficiently target customers through their sweet tooth with this sweet and real handy giveaway. An excellent branded merchandise you can hand out at seminars and conventions, increase your leads by incentivising signups with this sugary treat. Remember lollipops from when you were a kid? Everybody does. Make that childhood memory become your starting point when making a connection to your prospects with a promotional lollipop in hand. Anywhere from the basic flavoured lollipops, to choco pops, or tootsie pops, make a mouthwatering first impression with any of these choices. Like a carrot to a horse, make your audience crave for something you have to draw in the crowd and educate them about your product and services. With a sugary snack on their hand, seize the opportunity and turn your captive audience into a customer. A palatable giveaway item, bespoke lollipops and other corporate sweets we carry are an honest-to-goodness, tasty treat that will make people stick around your booth yearning for more. 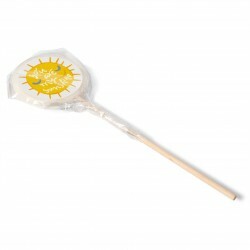 Inexpensive and very appetising, personalised lollipops can get you noticed more than you may think! Take a bite of the market by handing out lollipops to get people to come to your stand or place of business. Perfect for any formal functions, you can also utilise them for school fairs, tournaments, concert, and parties. Put some zing on any occasion you are hosting with your line of sugary lollipops for a sweet and memorable introduction. Satisfy everyone’s sugar craving after a heavy meal and appeal to their sweet tooth to end the event on a high note. Whether you need a swirly lollipop for a kids birthday party, perhaps a heart-shaped chocolate lollipop for a wonderland wedding or Valentines Day concert, the right lollipop you need to enthral your guests are just a click away. 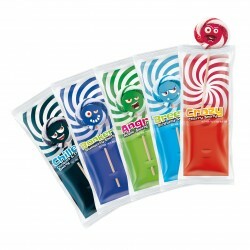 Get your hands on hundreds of this promotional sweets at little cost to have an always handy goodie by your side. For a more professional look and feel, customise them by adding your firm’s name and logo. Browse our delectable range of sweets and lollipops to entice your targets customers on your next booth exhibition. We are more than your typical e-commerce lollipop site. Our online catalogue features so many items like tech accessories, chocolates, even office supplies, all beautifully categorised that we are sure you will easily find what you need. Just lay-back, relax, and order what you need. Browse our site to see what promotional items you could aid you in your next lead generation strategy. 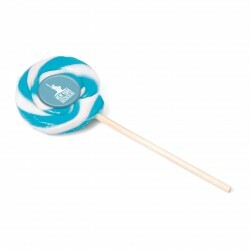 Quality products can be cheap, and our branded lollipop and promotional biscuits are no exception. You don't have to worry about waiting for a quote either as our streamlined order processing includes an instant quote generator, so you can go directly to check out and receive your order sooner. Transparent and concise, each quote is valid while you still shop for more products on our site. And if you have any questions about prices, delivery, and after-sales support, please don’t hesitate to get in touch with us through any of our communication channels.